Decoration Day is a late spring or summer tradition that involves cleaning a community cemetery, decorating it with flowers, holding a religious service in the cemetery, and having dinner on the ground. These commemorations seem to predate the post-Civil War celebrations that ultimately gave us our national Memorial Day. Little has been written about this tradition, but it is still observed widely throughout the Upland South, from North Carolina to the Ozarks. 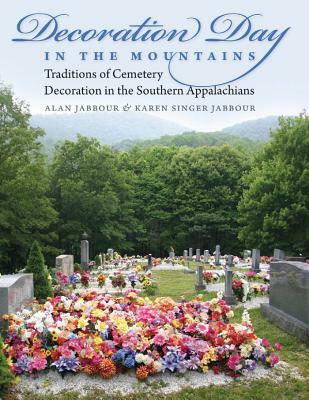 Written by internationally recognized folklorist Alan Jabbour and illustrated with more than a hundred photographs taken by Karen Singer Jabbour, Decoration Day in the Mountains is an in-depth exploration of this little-known cultural tradition. The Jabbours illuminate the meanings behind the rituals and reveal how the tradition fostered a grassroots movement to hold the federal government to its promises about cemeteries left behind when families were removed to make way for Fontana Dam and Great Smoky Mountains National Park. Richly illustrated and vividly written, Decoration Day in the Mountains presents a compelling account of a widespread and long-standing Southern cultural practice.